I am a huge baby wearing advocate. I love all different styles of baby wearing. I think it's so sweet to see a parent keeping their baby close in that way. I have learned over the years that what works for one family won't work for another. 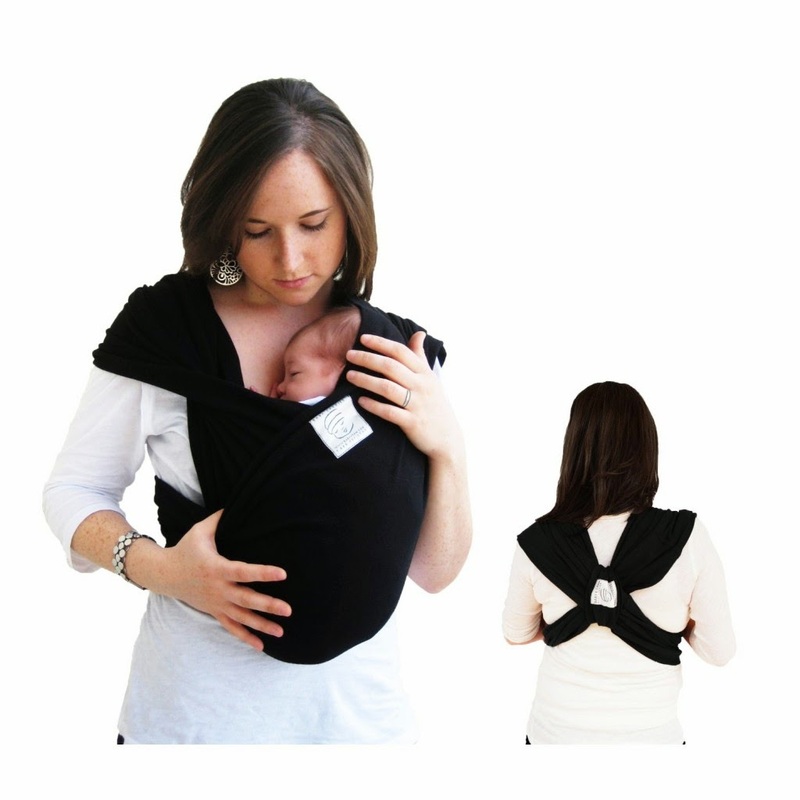 Most times when discussing baby wearing it's more so about what the mother or father prefers as far as comfort and convenience. What I've found with my little guy is that he has a big opinion in what we use. 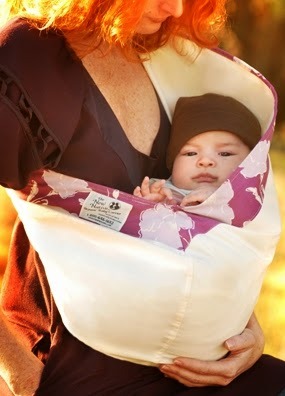 I have only used this sling on newborns but I really like it. It's very comfortable and super easy to use. The fact that the fabric is wide across your back distributes the weight well. I also felt like the baby is secure, I never feared that he would fall out. The fabric is cut so the baby sits up a bit and the fabric comes up high enough on each side to keep him in. They even sell an infant support pillow to keep the tinier babies safe and elevated. The price online seems to vary but it's around $30. This has to be one of the most popular of wraps. It's great in the way that you can wrap it so many ways and it works for all ages. When I wrapped Wolf in it he felt so secure and I was very comfortable. The weight is distributed perfectly. The problem is that Wolf hates it. Sometimes he'll tolerate it if hes very sleepy but the moment he starts to wake up, he throws a fit. He never liked how he couldn't move his limbs in the newborn hug hold. I don't find it to be the most convenient. I don't like how I have 18 feet of fabric to fold and wrap each time. When I'm out and need to rewrap the fabric drags on the floor. A lot of moms swear by it though but Wolf just never liked it. The most basic Moby is $40. To me the K'tan is kind of like a sling/wrap blend. It has two loops and an extra sheet of fabric so you can use it either way. 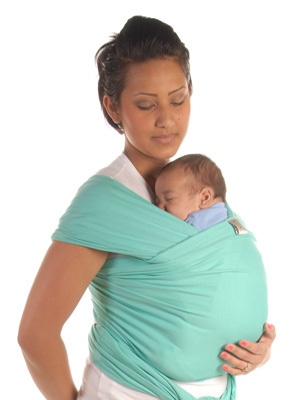 I think its simpler to use than a wrap but gives you more choices than a sling. It's the best of both worlds! The most basic K'tan is $50. This guy surprised me. We got this for my husband because the wraps just weren't his thing. Turns out everyone loves it, including Wolf. It's comfortable, easy to use and Wolf can kick, move and look around all he wants. We originally wanted to get the Ergo because as the name suggests it's more ergonomic for the passenger. 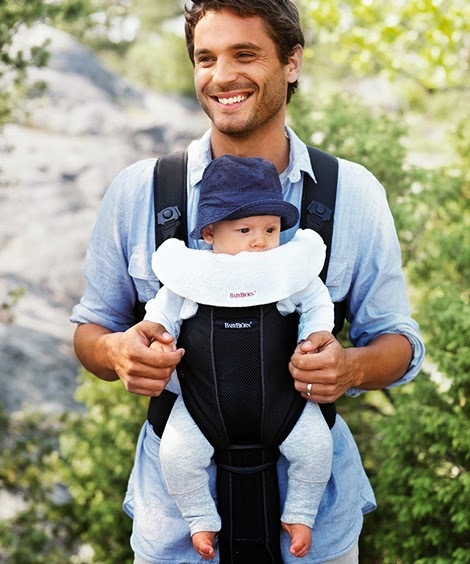 The price was a little high for us; the Ergo is $115 for the basic model when the BabyBjorn is around $70. Wearing your baby is a great way to bond. Rather than pushing your baby away from you in a stroller, you are holding him close. In a perfect world we could all just stop everything and carry our babies in our arms all day long but that just isn't realistic (and it will kill your shoulders..trust me). When you use a wrap or a carrier or whichever you prefer you can get things done and still make your little one feel secure. Parents are the ultimate multitaskers.